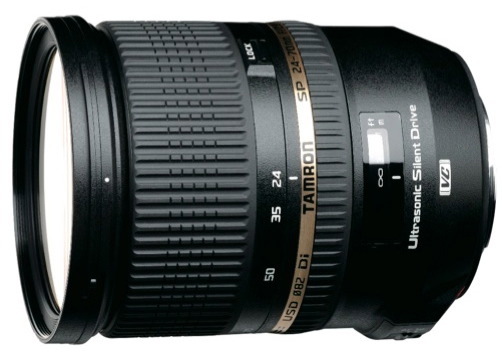 The Tamron SP 24-70mm f/2.8 Di USD lens for Sony Alpha mount is now shipping. Interestingly, the lens carries the same $1299 price tag for the Sony Alpha version even though it does not offer the Vibration Compensation function feature found in the Canon and Nikon versions. You can find the Tamron SP 24-70mm f/2.8 Di USD lens for Sony Alpha mount here at B&H Photo.